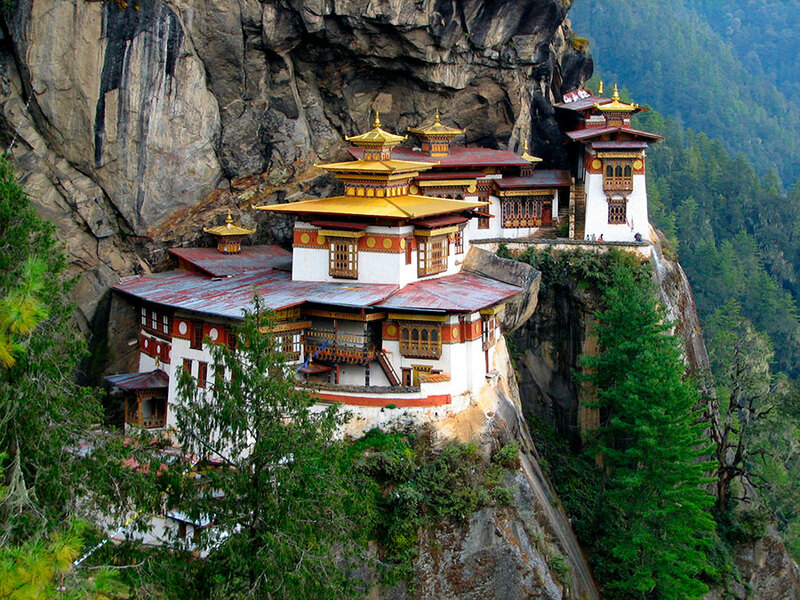 Bhutan is a tiny country which is perched high in the eastern part of the mighty Himalayas. This petite country is the world’s last remaining Buddhist Kingdom, where it Is landlocked between its neighbors India and China. It is the world’s only carbon negative country in the world, which is the only one of many reasons why it is called the last ‘Shangri-La’. Bhutan offers a never ending quantity of adventures in trekking in the Himalayas, where some of the best preserved temples and monasteries in the world show up, most of them which are constructed traditionally and completely without the use of any nails. In fact, Bhutan has so much more to offer that people on visiting, can never get enough of Bhutan. Here, we list out the top ten things to do in Bhutan, if you are lucky to visit this fantastic country. Though a lot of places in Bhutan haven’t been touched by modern tourism, so there is a lot of scope for adventure. The villages in Bhutan are still the same way as the good old times. They still practice age old customs and traditions and uphold these traditional values much more than the people in the urban towns. These people in the countryside communities are incredibly kind and welcoming towards visitors. Here you don’t just the opportunity to interact with the locals, but you also get to indulge in their customs, food, games and farming activities. And if you can even spare the time, you could even spend a few nights here and the villagers won’t mind it much. 2. Dancing with the nomads. Join nomads in the festival of the Royal Highland festival, which is a nomad festival that takes place at 3800 meters in Laya, the highest settlement in Bhutan. This festival aims to promote a sustainable livelihood of the Highlanders. This festival brings together highlanders from different parts of Bhutan to exchange values, skills, knowledge and special practices related to mining and yak farming. 3. Getting to know the thirteen traditional Arts and Crafts of Bhutan. And Art lovers, this is for you. If you are a lover of Art and craft, then the Institute of the traditional 13 arts and crafts in Timphu is where you should be. This if from where the young Bhutanese acquire the skills that decorate Bhutan’s architecture, textiles, jewelry and everything else. Since the 15th century, the art and craft you see here have been practiced since the 15th century and were categorized into the 13 traditional groups towards the end of the 17th Century. Having been passed down from generation to generation, studying these arts and crafts today involves an intensive 4- 6 years of training at the Institute. 4. Witness an archery tournament. Archery is much more than just a sport in Bhutan. It is an obsession. Men devote vast amounts of time, energy and money on the game. The traditional of this game involves bamboo bows and arrows, as much as with the world’s most expensive hunting archery equipment. The top archers here have earned a nationwide respect and adoration while key match winning exploits become the stuff of legends. As an scheme to open up and improve tourism activities in Eastern Bhutan, the Royal Government of Bhutan has provided a Sustainable Development Fee of USD 65 paise per person per night to halt in various districts to the east of Bhutan. So explorers, this is your chance to head out and explore the unexplored, as there is a culture waiting there to be known. This place offers the visitors the experience of a semi- nomadic lifestyle, culture and the vernacular in one of the most scenic pastrol vales in the protected area of the Sakteng Wildlife Sanctuary. The Tiger’s nest is the most popular and most visited tourist travel destinations in Bhutan. The look of the monastery, holding on precariously to a Cliffside, is truly a sight to behold. After an hour and a half’s worth of climbing you will not be disappointed. It is said that the place is so enchanting, that many tourists have actually broken down to cry at such a pretty sight. And there you have it, the top ten most unique things to do in Bhutan. It is truly a heavenly place to visit. If you do have the opportunity to tour india y bhutan to the roof of the world, you ought to make the best out of it. Beauty and culture couldn’t come together in one picture and here you have it in Bhutan.